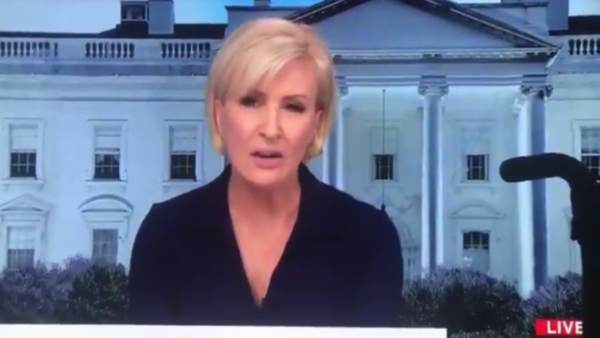 MSNBC’s Morning Joe co-host Mika Brzezinski was caught off guard Friday morning as she read the latest news on the Mueller investigation off the Teleprompter. Brzezinski could not control her shocked reaction as she read an ABC report that “no more indictments are coming from the special counsel.” Brzezinski’s eyes narrowed and blinked as a stunned look crossed her face while her voiced strained in pitch as she questioned what she was reading. Later on Friday after the Mueller report was released with no new indictments, Brzezinski posted a “mood” Instagram photo (at end).